Have you ever had a week that started out looking good and ended up being the worst you ever had? If so, Jesus can identify with that. He had one of those weeks. However, unlike us, He was not surprised by anything that happened that week. It all played out exactly as He and the Father planned. Luke 22:63-65 Now the men who were holding Jesus in custody were mocking him as they beat him. They also blindfolded him and kept asking him, “Prophesy! Who is it that struck you?” And they said many other things against him, blaspheming him. Perhaps you imagine that the soldiers who beat Jesus and mocked Him were unusually cruel, but they were no different from people today. Jesus is still the subject of jeering, beating, and mocking by those who do not know Him. They inflict their hatred of Jesus upon His followers. Every day, many Christians in Nigeria, China, and other places in the world are beaten, imprisoned, and killed for their faith. Interestingly, Jesus was not mocked then—nor is He mocked now—for demonstrating compassion and concern for the poor and showing forgiveness to prostitutes and tax collectors who repented. Rather, He is mocked because He reveals the darkness that lies within each of us and because they refuse to come to His loving Light. Today’s mockers would never dare to speak ill of Muhammad—to say nothing of the demanding Allah. If they did, they might have their throats slit, or their homes blown-up. Many have been murdered because they “offended” some self-appointed defender of Islam. Therefore, people are afraid to mock Muhammad. Jesus is always a safe target for derision, because His followers are unlikely to retaliate, just as Jesus did not retaliate when false charges were brought against Him. Matthew 27:35-44 And when they had crucified him, they divided his garments among them by casting lots. Then they sat down and kept watch over him there. And over his head they put the charge against him, which read, “This is Jesus, the King of the Jews.” Then two robbers were crucified with him, one on the right and one on the left. And those who passed by derided him, wagging their heads and saying, “You who would destroy the temple and rebuild it in three days, save yourself! If you are the Son of God, come down from the cross.” So also the chief priests, with the scribes and elders, mocked him, saying, “He saved others; he cannot save himself. 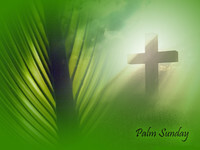 He is the King of Israel; let him come down now from the cross, and we will believe in him. He trusts in God; let God deliver him now, if he desires him. For he said, ‘I am the Son of God.’” And the robbers who were crucified with him also reviled him in the same way. Contrary to their jeers, the mockers wouldn’t have believed in Jesus even had He come down from the cross, because they refused to believe all the other miracles He performed before their eyes. Mocking God (which is unbelief) has serious consequences. Galatians 6:7 Do not be deceived: God is not mocked, for whatever a man sows, that he will also reap. The primary reason people hate the Christian faith is that people hate the Author of our Faith. Jesus is a nice guy, but He exposes sin. The light of His presence illuminates the darkness in which we live, and that is always painful. The same is true of His followers. His Spirit in you angers the demons in them. To follow Jesus is to identify with Him, and this requires us to die daily to ourselves, pick up a cross, and stay focused on Jesus. Therefore, we need to encourage one another. We need to pray for perseverance. Otherwise, the persecution will cause us to fall away and dishonor Jesus. Jesus clearly distinguished those in the world from those in His Kingdom. Unbelievers are in the world, and they will not be hated by the world because they pose no threat to those of the world. However, those who are born from above have identified with the Son of God, they have the Spirit of Christ abiding in them, and the world will hate them. Expect it. Unfortunately, many seek an easy way to practice Christianity and avoid persecution. Perhaps they can perform some duty, or attend a particular service, or even recite a prayer, and that will fulfill the commands of God. However, Jesus was quite specific that only those born of God’s Spirit will enter Heaven. And those born of the Spirit will be persecuted, because the exhibit the character of Jesus. The Word of God declares all people are sinful. People hate that label, so they excuse their actions. For instance, there an effort to find a genetic excuse for our sinful choices. They are looking for a “gay gene,” or a “violent gene”, for examples, to excuse our sin. They are ignoring the fact that we all possess a “sin gene”. However, we cannot hide behind excuses. On the other hand, we do not need to be angry at the One who exposes our sin. Jesus suffered the jeers and cruelty of the cross to atone for our sin and to deliver us from it. The love of God, that motivated Him to give Himself for the sin of mankind, is a mystery to us. Yet, love is why He permitted Himself to be crucified. He gave His life as a sacrifice for sinful man. Then He raised Himself from the dead, giving us hope of eternal life. From the beginning of the Church, those who had faith in Jesus and followed Him have suffered hostility in this world. They also refused to retaliate when they were persecuted or jeered. Instead they acted like Jesus and considered it an honor to suffer for the Name of Jesus. 1 Peter 2:21-24 For to this you have been called, because Christ also suffered for you, leaving you an example, so that you might follow in his steps. He committed no sin, neither was deceit found in his mouth. When he was reviled, he did not revile in return; when he suffered, he did not threaten, but continued entrusting himself to him who judges justly. He himself bore our sins in his body on the tree, that we might die to sin and live to righteousness. By his wounds you have been healed. As he continues encouraging those who follow Jesus, Peter raises and answers a significant question. 1 Peter 3:13-17 Now who is there to harm you if you are zealous for what is good? But even if you should suffer for righteousness’ sake, you will be blessed. Have no fear of them, nor be troubled, but in your hearts honor Christ the Lord as holy, always being prepared to make a defense to anyone who asks you for a reason for the hope that is in you; yet do it with gentleness and respect, having a good conscience, so that, when you are slandered, those who revile your good behavior in Christ may be put to shame. For it is better to suffer for doing good, if that should be God’s will, than for doing evil. How can we endure unjust suffering? How do our brothers and sisters throughout the world today endure suffering? Christ’s strength becomes our strength by the indwelling Holy Spirit. The heart of the Gospel message is in this powerful truth. Because the Son of God lives, we also live in Him, and He lives in us! Therefore, we have His power to do what He has commanded! We have God’s Spirit empowering us to be like Christ when we suffer. This gift of life that He gives is called the New Birth for a reason. We are born again from above and into the Kingdom of God. If all we have is religion, no one will accept this Gospel. However, if we possess the life of Christ, it will be evident in joy, peace, humility, and confidence exhibited in the midst of a broken, fallen world. What is our confidence? We have been born again of God’s Spirit in Christ. We have access to the throne of God, and we know that He hears our prayers, because they are offered through the Living Son of God who is seated at the Father’s right hand, interceding for us. Moreover, because He rose from the dead and ascended unto the Father, Jesus has sent His Spirit to dwell in each believer. We feel Him and hear Him. The Holy Spirit lives within each believer, infusing into each life the power of the Risen Son of God. The child of God has power, not only to conquer evil, but also power to live a righteous life with hope in a hopeless world. The glorious message of the Resurrection, which followed a week that went from cheers to jeers, is Jesus is Lord and He has conquered death, hell, and the grave! He is risen from the dead. And now, the power of the Resurrection gives hope to all who are born of His Spirit and into His heavenly family. Have you been born again of God’s Spirit? Do you have the Spirit of God living within you? Is your life marked by His peace, with joy and with hope? Most of all, do you have the power of the Risen Christ abiding in you, enabling you to glorify God through a holy life? If not, you can have all this today by faith in Jesus Christ.